Mitigating the effects of earthquakes is crucial to bridge design. 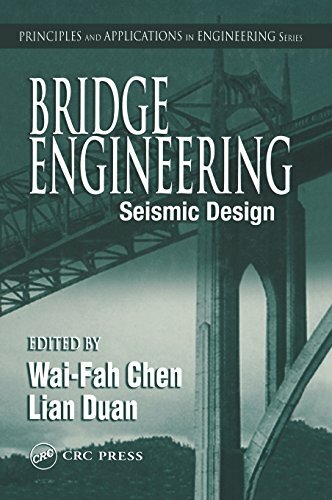 With chapters culled from the best-selling Bridge Engineering Handbook, this volume sets forth the principles and applications of seismic design, from the necessary geotechnical and dynamic analysis background to seismic isolation and energy dissipation, active control, and retrofit technology. In-depth discussions contributed by bridge and earthquake engineers from around the world cover the types and effects of earthquake damage and structural performance criteria. The book also includes an overview of seismic design practices in Japan, including a study of the damage to highway bridges caused by the Hyogo-ken Nanbu earthquake and the changes in retrofit practices precipitated by that earthquake.